List of publications and links to work are below slideshow. Highlights of work experience can be seen here. The life and passions of Eugene's NAACP president, Eric Richardson. Spring 2015 feature story for Ethos. The Elephant Nature Park, ENP, rescues elephants that have been hurt, emotionally and physically, from the ecotourism industry in Thailand. Although revered, the elephant is not protected in Thailand and populations are diminishing. Eugene’s skateboarders find a nighttime home at the Washington + Jefferson Skatepark. 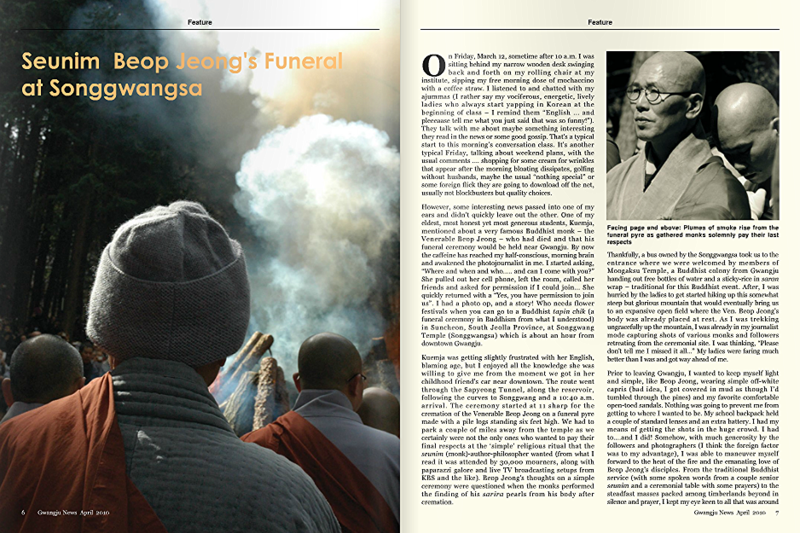 Cover and story on Venerable Beop Jeong funeral, and legacy left behind, March 2010 issue. 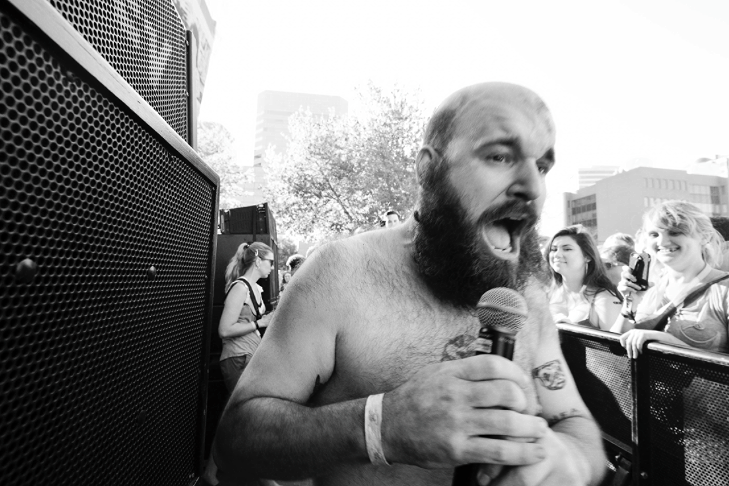 For EthosLive online publication, I shot Portland's MusicFest NW during the summer, 2014. It was nothing short of "super awesome." Take a look at the lineup. Being close to shoot the artists supported the intimacy reflected in the music and scene. 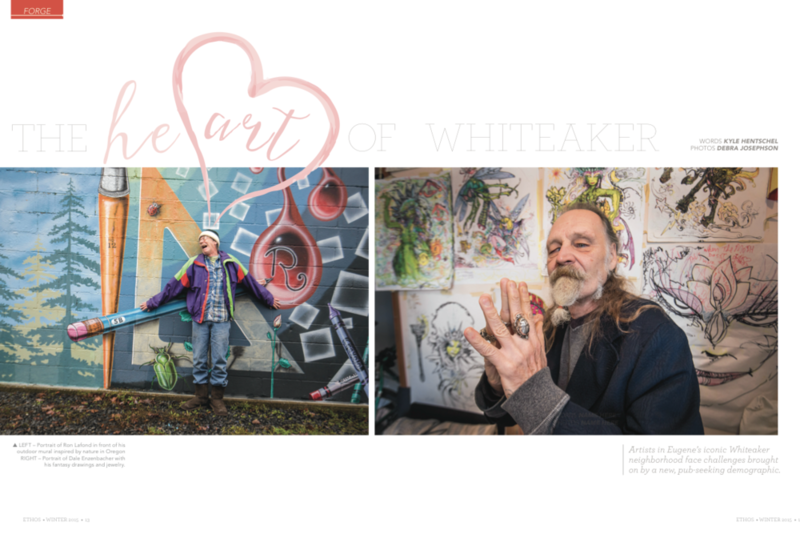 Artists in Eugene's iconic Whiteaker neighborhood face challenges brought on by a new, pub-seeking demographic. 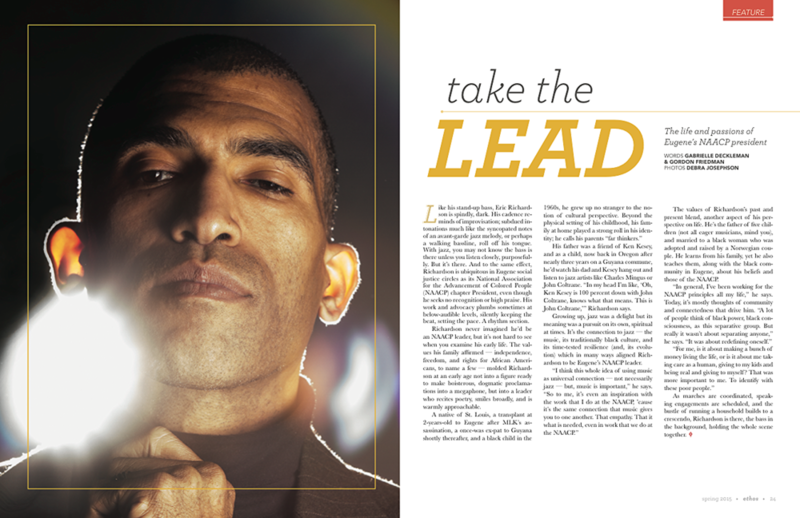 Story on page 13 of Ethos Magazine Winter 2015 issue. 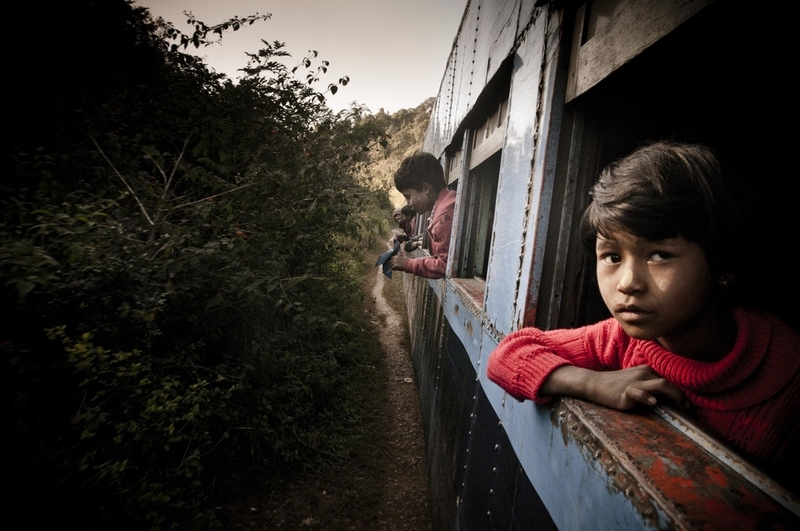 It's an opportunity to immerse myself into the routine and life as a Burmese. Life here is raw and in your face, in and out of the train, constantly in motion and with a complex dynamic. KVAL.com: Photographer to story, “Softball: No.2 Ducks Down Dawgs 15-6" March 2015. KVAL.com: Writer and photographer to story, “50 years later: Event honors legacy of Malcolm X" March 2015. KVAL.com: Photo gallery contributor to story, “I think we owe it to Dr. King.” Jan. 2015. KVAL.com: Photo gallery contributor to story, “’Look for rainbows when others think of clouds…’” Jan. 2015. Ethos Magazine: Photo Editor and (online) contributor to story about artists/gentrification in the Whiteaker district. Jan. 2015. KVAL.com: Writer and photographer to story, “A new Reality backdrop for Holiday Market.” Nov. 2014. Ethos Magazine: Cover Shot and (online) contributor to two stories (hippy chef/vagabond musicians), Sept. 2014. Ethos LIVE: Online contributor to Portland's Musicfest NW, August 2014. Groups included: Ema, Fucked Up, Spoon, Wild Ones, Haim. Art Elemento: Personal Story with photography about being a storytelling photographer, Jan. 2012 issue. Gwangju News: Travel Essay on Asian Elephants diminishing in Thailand with Ecotourism, May 2011 issue. Social Discourse of the Disquiet Blog: Profile Interview, March 2011. The Korea Herald: Reporter, “Jinju Expat Raise Money for YWCA Lunch Box Program”, January 18, 2011 issue. Gwangju News: Cover shot of the May 18th, "1980 Gwangju uprise against government,' April 2010 issue. Gwangju News: Cover and story on Venerable Beop Jeong funeral, and legacy left behind, March 2010 issue. Art in America: Photo supporting exhibition on Kosovo on page 23, July 1999 issue. Samples of work published. Please click hyperlinks at top of page to view more work.